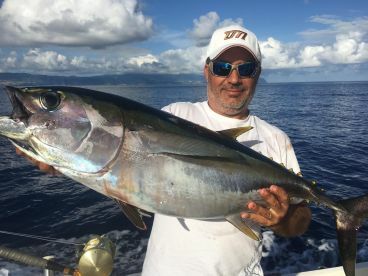 If you are looking for a challenge, and want to have the most incredible stories to tell your friends back home, then you need to book with Brasilia Fishing Charters today. 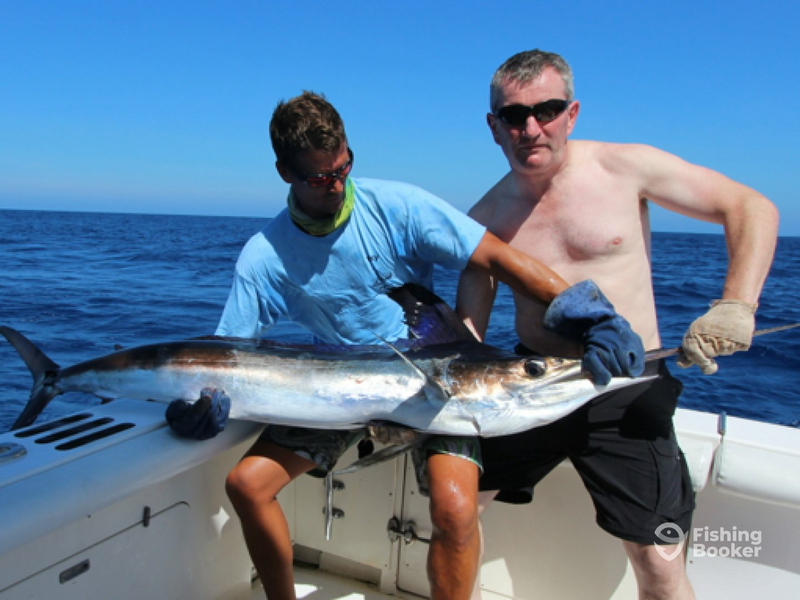 Hunt down deep sea predators for the ultimate game fishing. 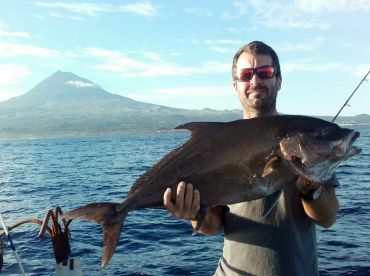 Your adventure will be led by Captain Luis Roque – he was born in Horta and knows these waters like the back of his hand. If anyone can get you on the fish, it’s him. Capt. 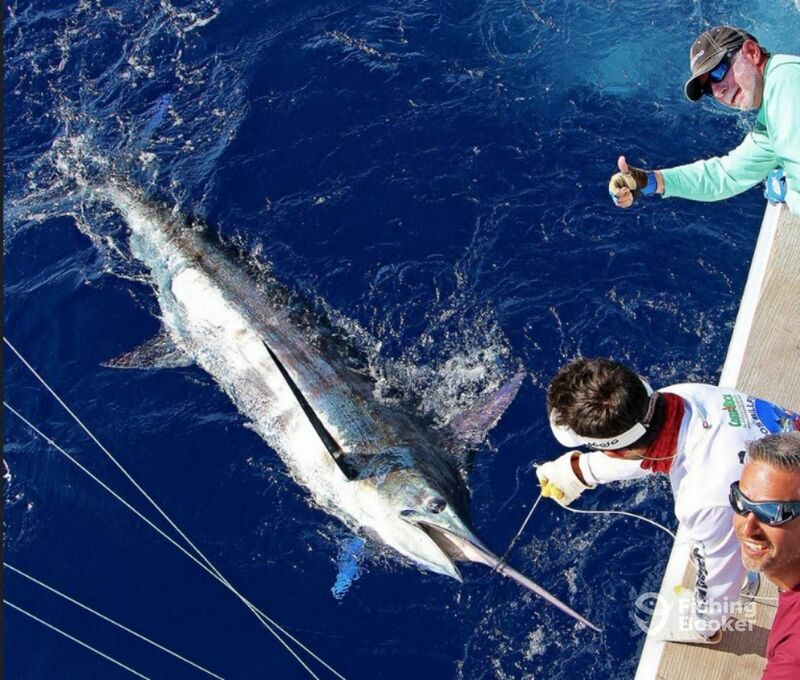 Luis and his crew welcome you on board their 31’ Bertram boat. Bertram boats are known for their smooth ride no matter what the conditions, and “Paty” in particular is a proven fish raiser. 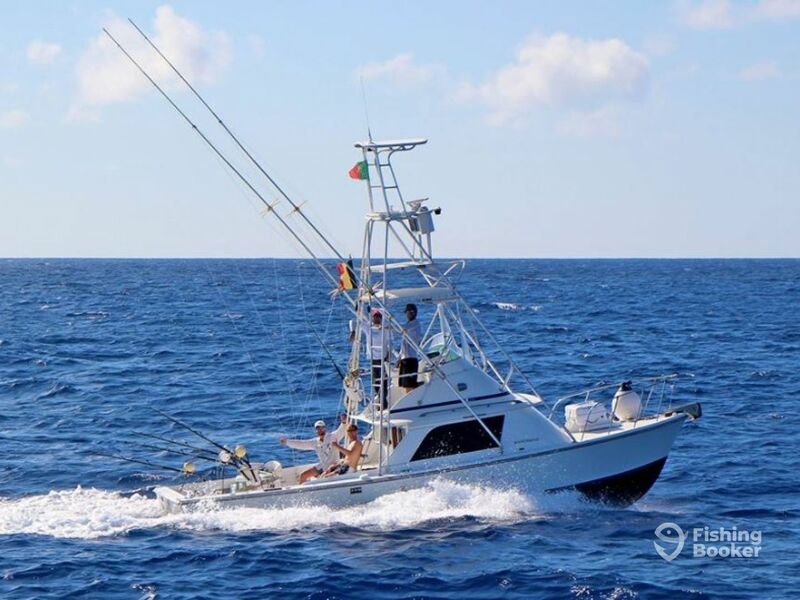 Paty has twin 300 HP engines which will get you to the fishing grounds before you know it. This boat has a spacious 7.5 x 7.5 M cockpit, fighting chair, Rupp riggers, and Simrad electronics. For your comfort, there is also a restroom and a multimedia system. 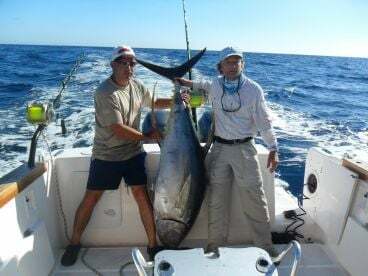 You will spend the day targeting some awesome deep sea game fish, including Blue Marlin, White Marlin, Bluefin Tuna, Yellowfin Tuna, and Wahoo. These fish will really test your skills. 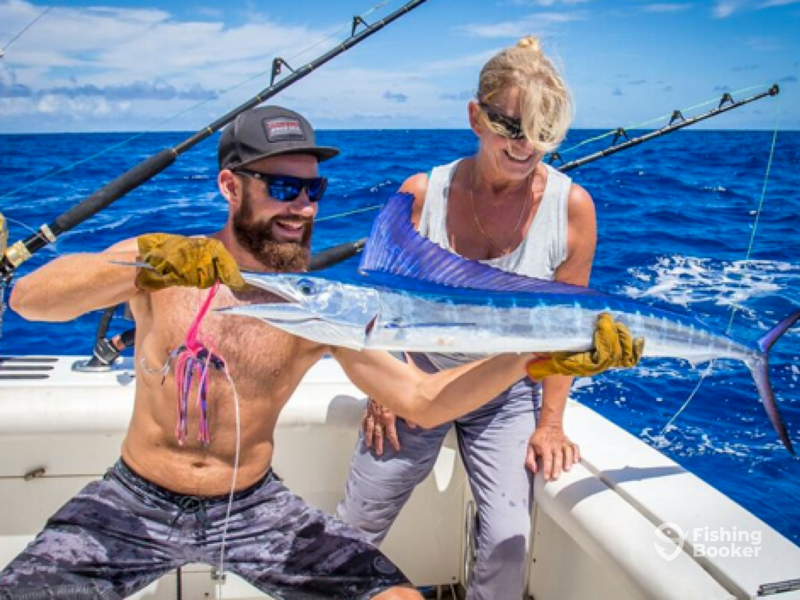 Brasilia Fishing Charters are proud members of the 500+ club – maybe you’ll join them when you catch a grander on their trip! 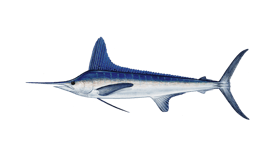 This charter company is also proudly leading the way in research and conservation of Blue Marlin. 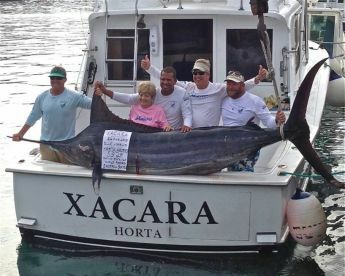 They are using Plastic Head Intramuscular tags, very similar to those used by The Billfish Foundation. 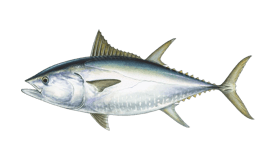 After tagging, they share this data with Horta’s Department of Oceanography and Fisheries. 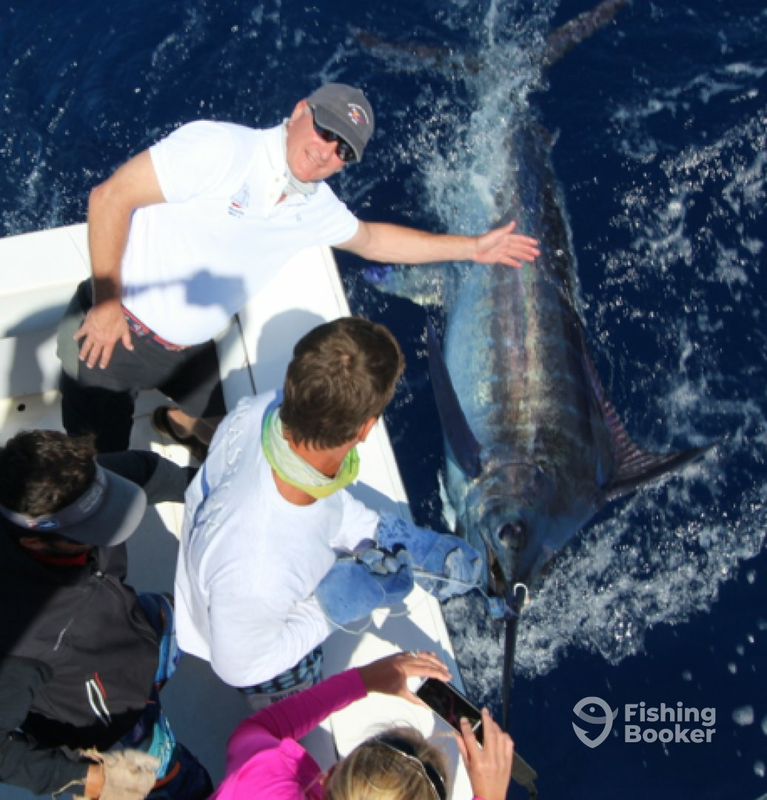 On your trip, not only will you catch great fish, but you’ll learn about the conservation of the species and these waters. You’ll have everything provided for you on this trip – from rods and reels, to refreshments, right down to your fishing license. You just need to bring along plenty of enthusiasm! Book now for an unforgettable experience like no other! 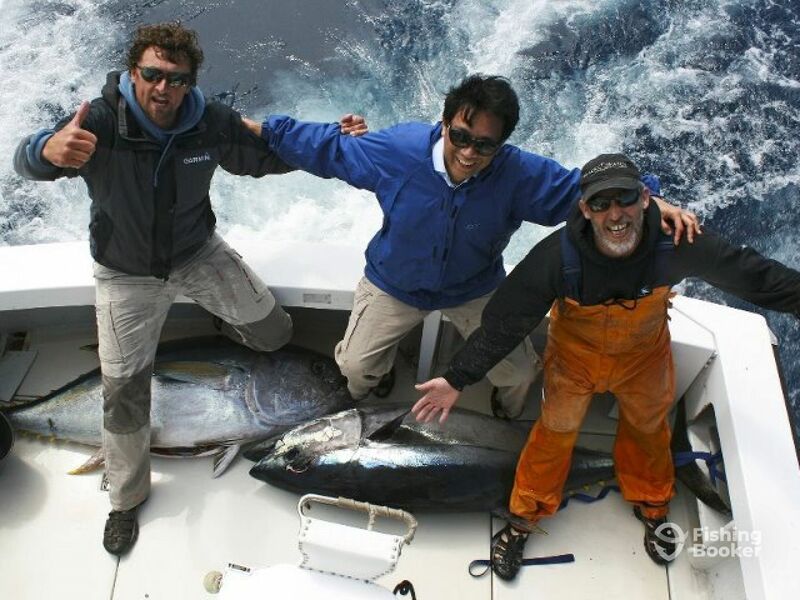 Head after Blue and White Marlin, and Yellowfin and Bluefin Tuna on this epic all-inclusive trip. 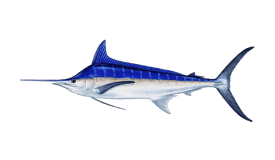 All of your fishing equipment is provided, as well as your food and drink for the day. 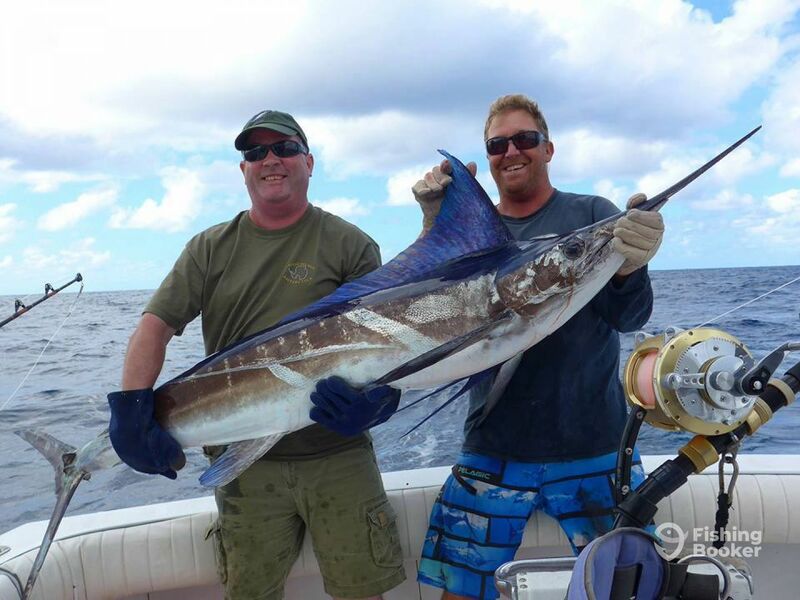 Even your fishing license is covered – you just need to bring along plenty of enthusiasm! 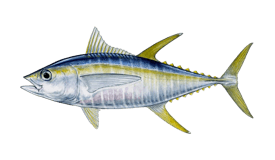 Please note, the best time to fish for Bluefin Tuna is May to June, and for Blue Marlin, it's from July to October. 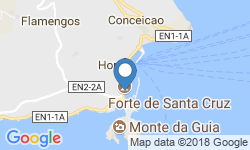 Bertam (Offshore sport fishing) построена в 1980. Мотор – 2 300 л.с. Cummins.